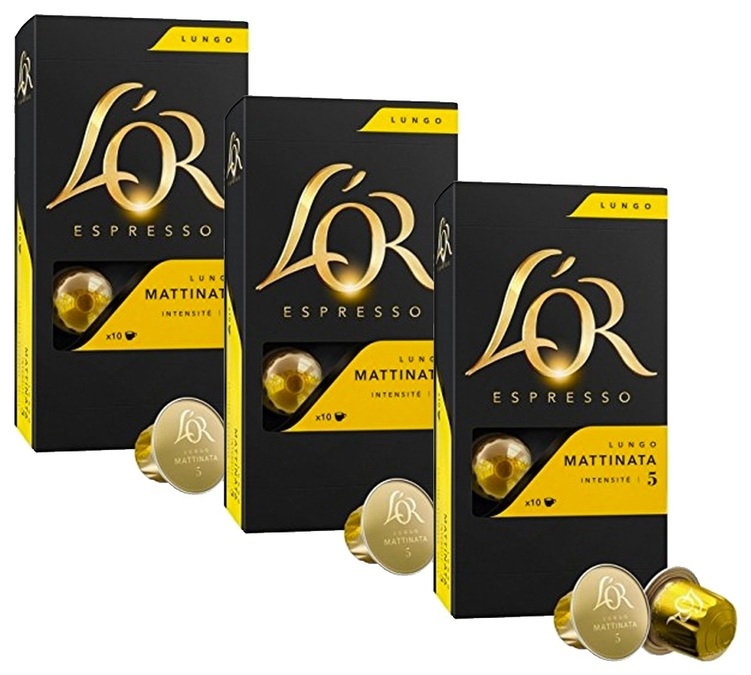 Discover these Lungo Mattinata capsules by l'Or Espresso, compatible with Nespresso® machines. These capsules are perfect to start your day. Cereal notes and a delicate aroma. 3 boxes of 10 capsules.